One of our crews was fortunate to spend most of the late summer at a lakefront property in Colchester with spectacular views. 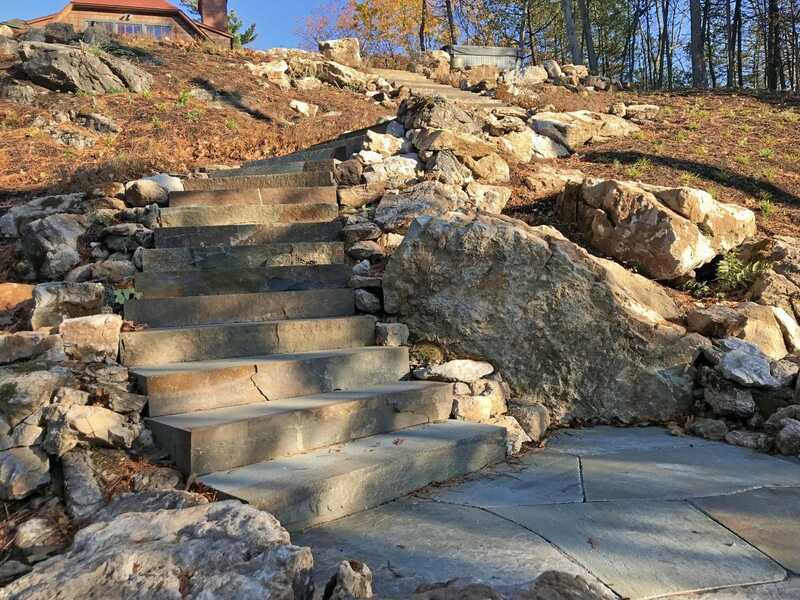 We created an outdoor living space for the clients with various stonework and gardens, as well as made a grand, natural stone stairway that connected the home with the dock below. 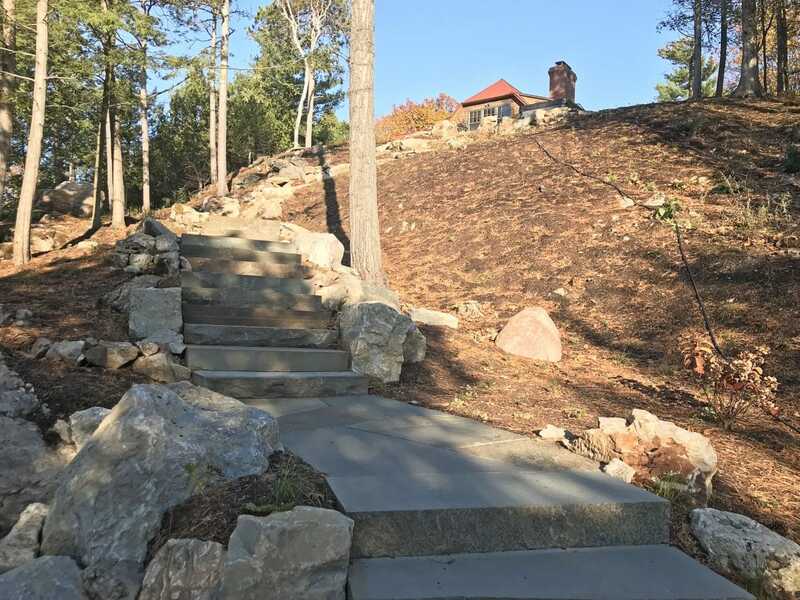 The job itself was a big undertaking; it involved community planting along the steep hillside, blueberry sod, a bluestone walkway in back, foundation plantings, a permeable paver driveway (to help prevent runoff into the lake), and sod in the front yard. 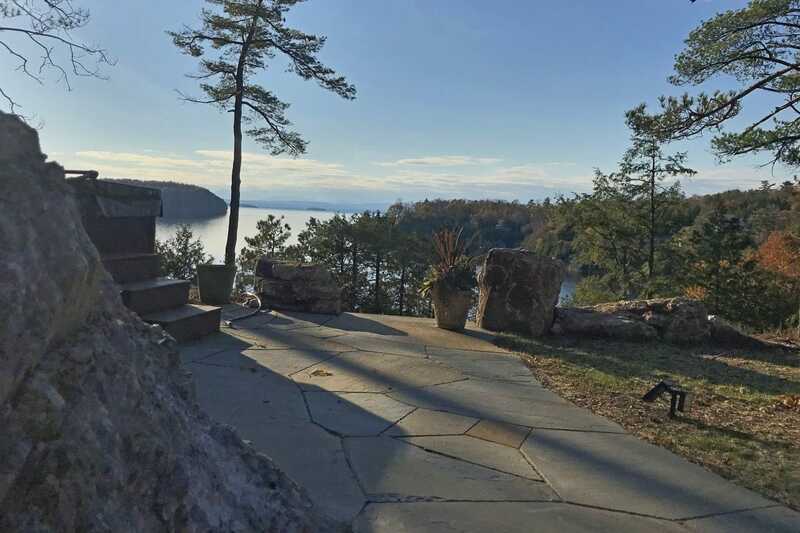 The clients primarily wanted to have easy access to their dock on Lake Champlain, which was down a very steep cliff from their home. They also wanted to have a back yard where they could enjoy time outside, which they didn’t have before. 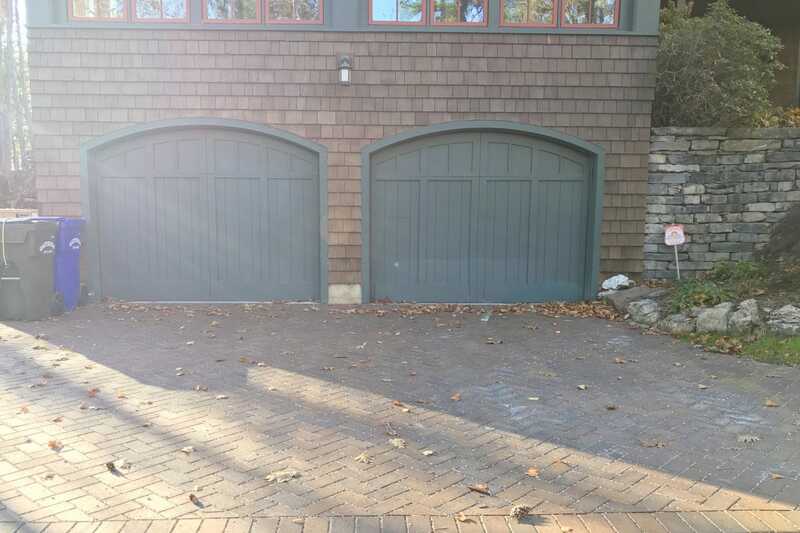 They were tired of tracking gravel into the garage from their driveway, so they wanted a permeable driveway. With smooth permeable pavers, they don’t have to worry about tracking anything into the home. 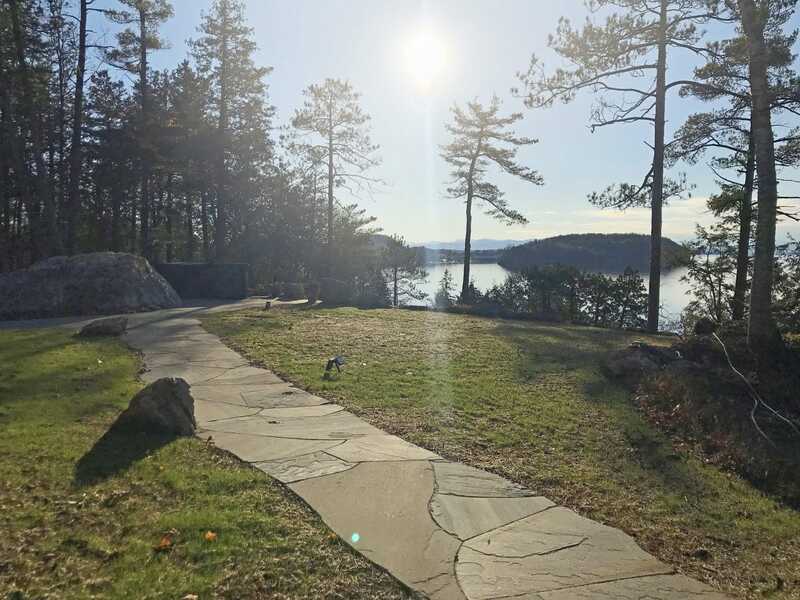 A bonus benefit with this type of driveway is that with rainstorms — or even when they wash their cars — the water won’t runoff into their yard or the lake below. The biggest challenge on this specific project was ledge. Because the home rests on a cliff, the ground was pretty much completely made up of hard rock. 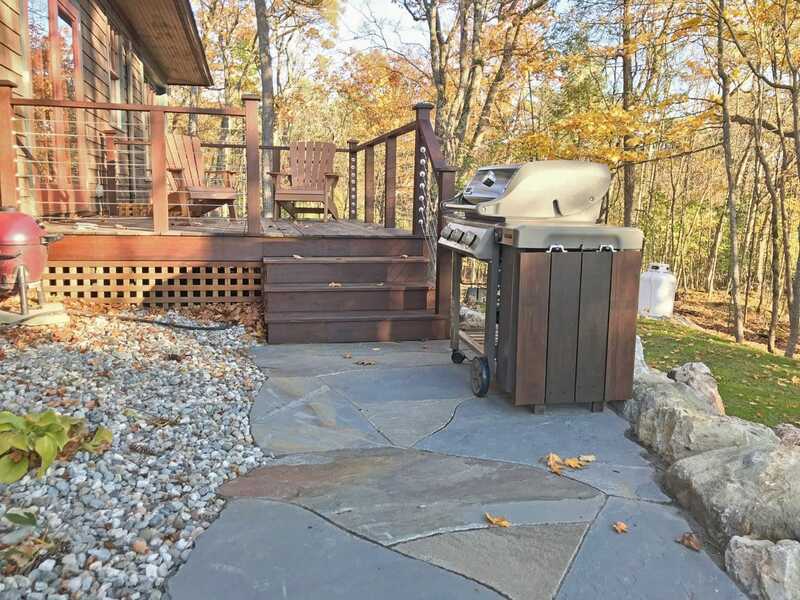 To remedy this situation and create the backyard they were hoping for, we brought in a huge excavator and hammered out portions of ledge to create a level space. Our biggest success on the job was also part of our biggest challenge. The hardscape crew, led by Erik DesLauriers, did an amazing job working with the ledge to lay the steps. 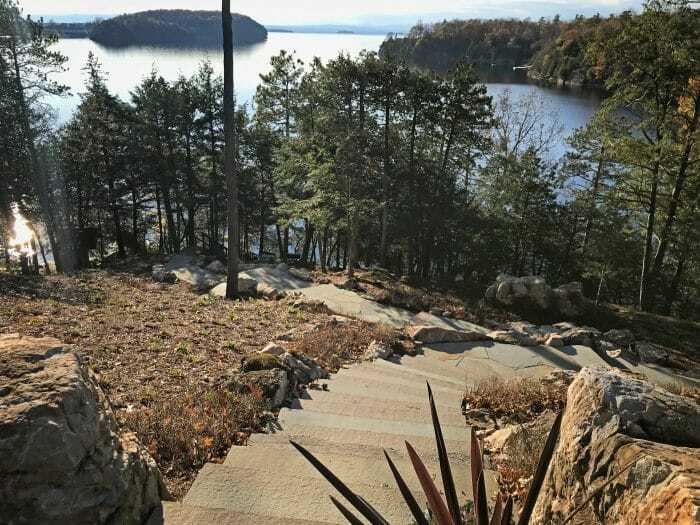 The result is a completely natural — and easy to navigate — stone staircase that winds down the cliff gradually to the lake. The clients couldn’t be happier with the finished product and are already looking for reasons to have us back next season! Because we finished the job in the fall the pictures don’t do the plantings justice, but we’ll head back in the spring to take more photos of everything in bloom. Looking to create your own outdoor oasis? Contact us for more information. In late fall, once all of your perennials have started to turn brown and die back, it’s time to prune some and leave some to cut back in spring. It’s common to think that everything should be chopped down to the ground in the fall, but some perennials actually need their foliage to protect new shoots through the winter. Other varieties offer up important habitat for local wildlife and some perennials provide height and interest through the winter months. We’ll go over a sampling of common perennials here in Vermont and list when to cut them back (and why). There are a variety of perennials that should be cut back in the fall. Prune foliage down to just a few inches from the ground and make sure to clear away any debris from the garden to help prevent disease and rot in the early spring. If perennials (like Bee Balm or Phlox) were diseased this past season, cut the foliage all the way down to the ground and don’t compost it. Throw it away or dispose of it in an area far enough away from the garden that other plants won’t be subject to the disease. 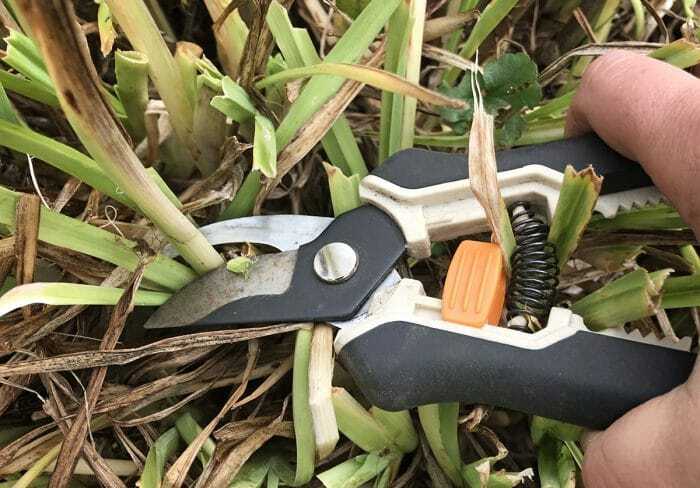 Make sure to clean your pruners with a mixture of bleach and water after dealing with any diseased plants. 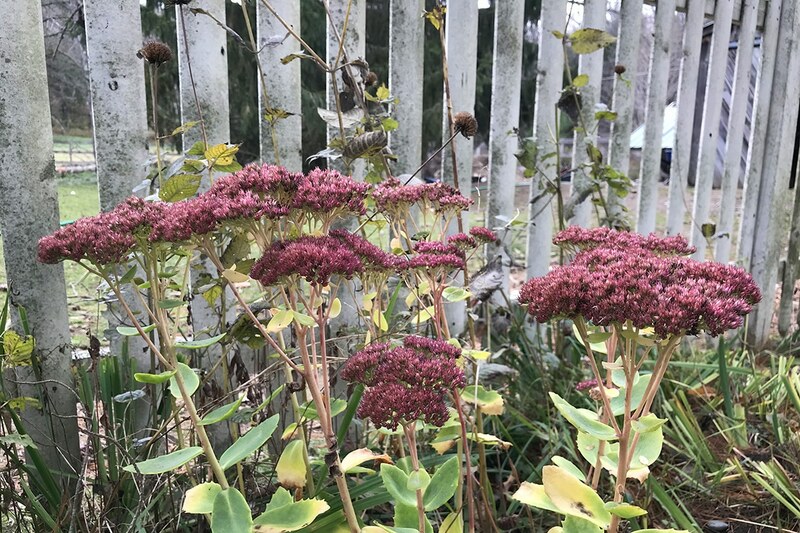 There are several common perennials that should be left up throughout the winter for a variety of reasons, including protection, adding winter interest, and helping local wildlife. Annual wildflowers. 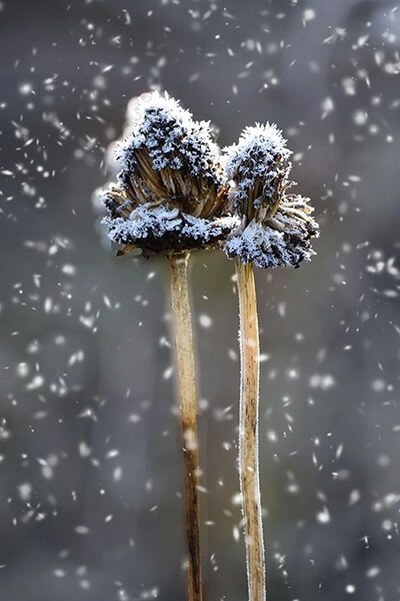 If you planted annual wildflowers like Cosmos, Zinnias, or Sunflowers, leaving them up through the winter helps them to drop their seeds and come back the next year. If you can’t stand leaving them up (or are part of an HOA that makes you cut them back), cut them back and leave the debris on the ground. This should help them drop some seeds for the next season. Echinacea (Coneflower) and Rudbeckia (Black Eyed Susan) should be left up until spring to attract and feed birds throughout the winter. 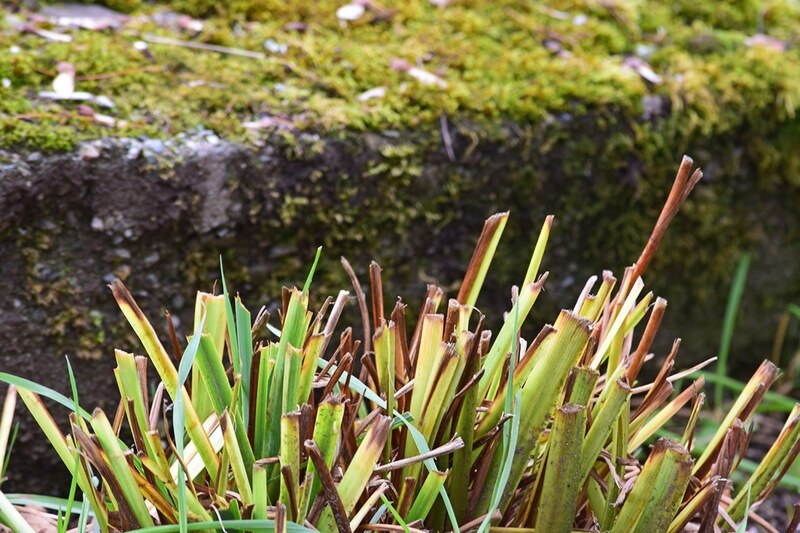 Sedum and Ornamental Grasses should be left throughout the winter to add height and interest. Butterfly Weed (Asclepias), Ferns, and Heuchera (Coral Bells) should be left until spring because the foliage helps protect their crowns. Hydrangea is an illusive shrub that can be pruned in the late winter/early spring or just after they’ve finished blooming, depending on the variety. Hydrangeas that bloom on old growth (like "Endless Summer") should be pruned immediately after they’ve finished flowering. Hydrangeas that bloom on new growth (like the popular "Annabelle" and "Limelight") should be pruned in the late winter or early spring. This is why it’s always good to save plant tags or write down which varieties you have in your garden! Fall cleanup can sometimes seem daunting, but with all of the right information at your fingertips it can be done in just a few short hours. Don’t have time for fall (or spring) cleanup? Contact us to get on our schedule! © 2019 di Stefano Landscaping. All Rights Reserved.